The CACL-Canadian Association for Community Living- is a powerful force for good in the town and county of Antigonish. 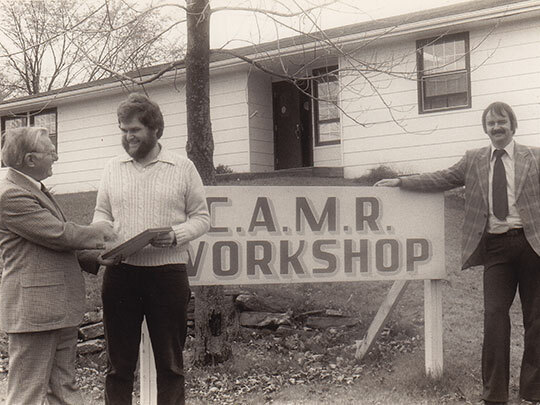 Although it is forty years since the ancestor of the CACL workshop, the Antigonish Activity Centre, opened its doors the story of the CACL really began closer to fifty years ago. In the mid sixties, the government of Nova Scotia established a system of “auxillary classes,” in selected schools. These were intended to serve, in the jargon of the day, the “trainable mentally retarded.” At the same time, branches of the Canadian Association for the Mentally Retarded (CAMR) were formed, one of these in Antigonish. The result was the establishment of such a class at the old St. Ninian St. School. The programme prospered, and it is worth noting that there was no training for teachers in “special education” at that time. 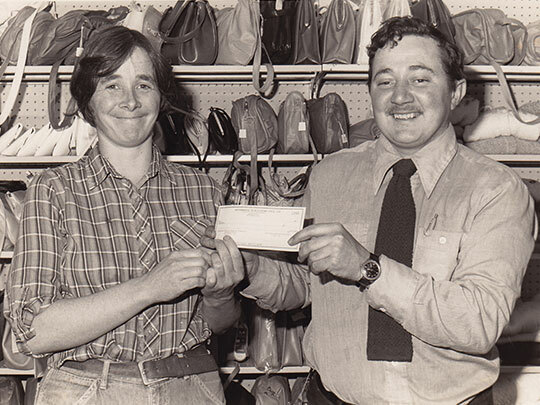 The Antigonish class had the service of two very dedicated women during those years. In 1969 the name of the organization changed in order to reflect the changing direction of activities. 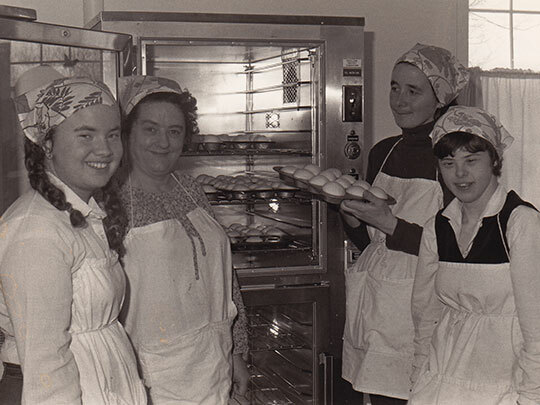 Preparation for a fuller integration into community life became the major goal of the CACL. As the first group of Antigonish students reached legal school-leaving age, a new difficulty began to take shape. Could these young adult graduates of the special education programme benefit from further vocational and life skills? The CACL members and supporters were entirely volunteer at this time, fund raising consisted mainly of bake sales and sales of Christmas trees. 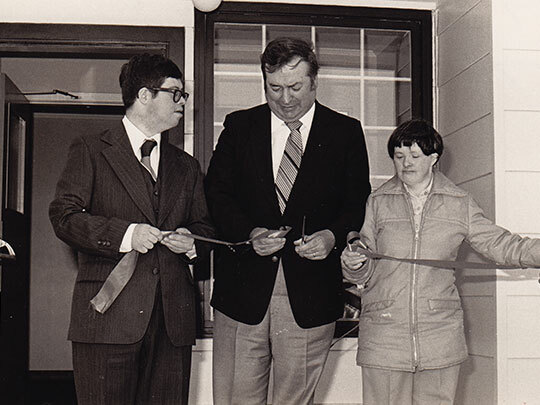 With the support of the Department of (then) Social Services, the Antigonish Activity Centre came into being. By the 1970’s a great deal had changed since the early days of the CAMR. When special education classes commenced, volunteers had to locate the children who would benefit from the instruction. Some of these had never been to school, others had spent time at the now defunct Nova Scotia Youth Training School in Truro, and some had been kept at home due to prevailing social attitudes. By 1979, all had changed. 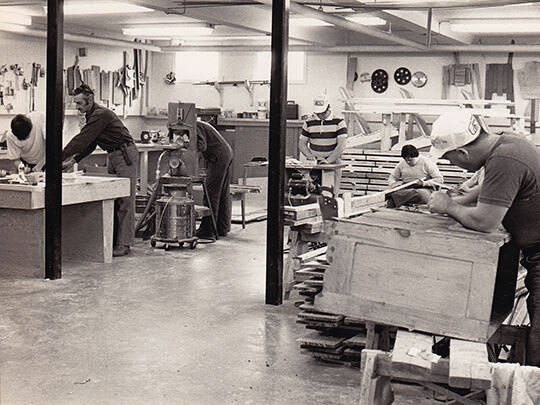 The need for a workshop model and a purpose built facility resulted in the construction of the present Community Workshop. 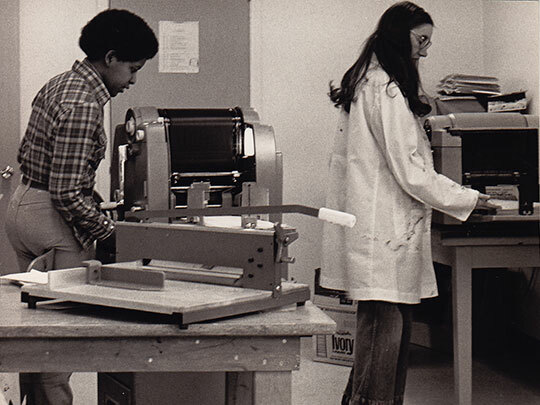 Equipment for a proper bakeshop, woodworking studio and print shop were provided. Twenty workers were enrolled in the newly opened shop. 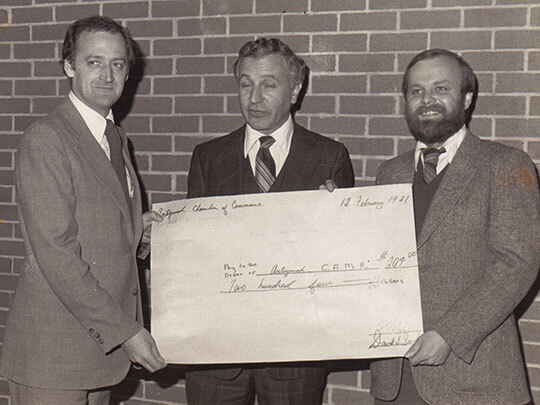 But by 1981, the CACL was heavily in debt. Demand for services and staffing was inadequate. Despite what the Casket called “a close and fruitful alliance” with the Department of Social Services, the Board of Directors of the day decided that the time had come for a large and professional campaign for funds. CACL wished to be as self-sufficient as possible. The campaign was to be both corporate and door-to-door. A fund raising team was built, comprising business and professional persons, including a retired banker as treasurer, service club representatives, homemakers, farmers, a public relations expert, and many others who shall remain nameless for fear of excluding someone. A Casket photo from the day shows a large group of organizers, perhaps forty in all. One volunteer told me at the time that he “hounded all the Main Street merchants.” But much of the credit was due to the “foot soldiers, the hundreds of people who canvassed door to door for individual donations” said a former CACL Director. The campaign was a resounding success, exceeding its goals. 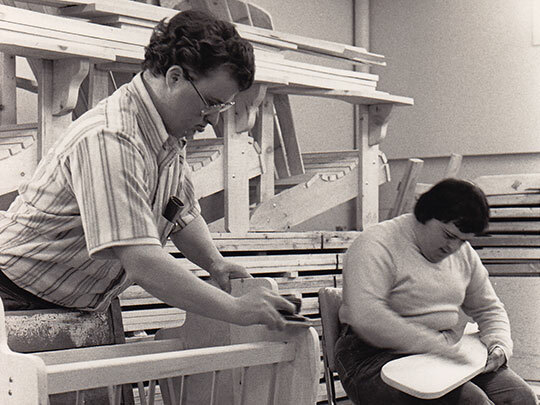 In 1993, the CACL agreed to start a residential programme for de-institutionalized persons from the area, and the workshop became the day destination for those residents, thus stretching programme offerings. 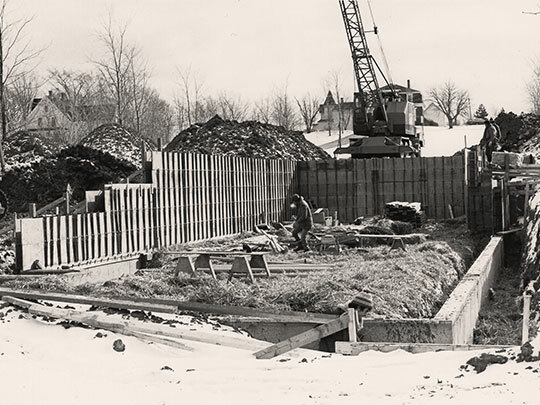 Some CACL workers also lived in the L’Arche community, while others lived at home with family members. In 1997 a laundry service was added to the services provided. Fund raising continues apace. Businesses, organizations such as 4-H, institutions, St. F.X. University and high school students and individual donors help to keep CACL afloat through regular door-to-door canvasses and volunteer skills. No structure in this community says more about Antigonish town and county than the CACL.